The Starr Woman Dream Edition project which seeks to empower women entrepreneurs with Disability to defy the odds and become successful at running business. The aim is to promote awareness of the systemic issues facing women entrepreneurs and to call on duty bearers to roll out policies to suit them. This year the project will focus on Savelugu and Yendi Municipalities, for this reason the starr woman Dream Edition team lead by Project Lead, Eyram Bashan paid a courtesy call on the Member of Parliament for Savelugu to brief him on the project and officially invite him to our stakeholders’ forum to be held in Savelugu on February 15, 2018. 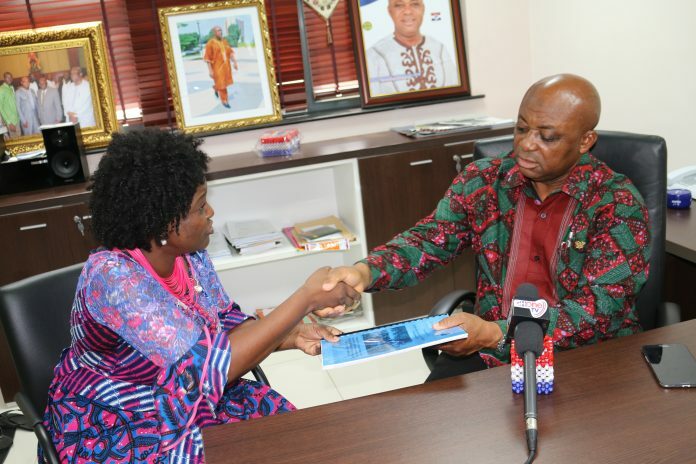 The team also presented a copy of the survey report conducted in the two districts, which puts spotlight on the challenges of persons with disability in the Northern Region. The Member of Parliament for Savelugu Muhammed Abdul Samed-Gunu expressed exictment over the initiative, he accepted the survey report and pledged his total support for the project. 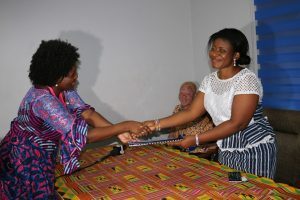 A similar visit was paid to Ghana Federation of Disability organization to officially seek for their support and involvement in the project. 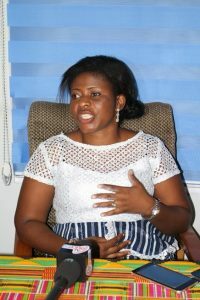 The project Cordinator of the organization, Beatrice Akua Mahmood congratulated the team on taking up such initiative. She expressed great worry over the situation of Persons with Disability, ‘ it is time we move out of the charitable approach and support them to become independent. she further pledged their support towards the project in order to make it a success since the organization which is the umbrella body for Persons with Disability will benefit a lot from this project. The Group Managing News Editor and Project lead, Eyram Bashan expressed gratitude over their unflinching support.